Cambara is a medium density hardwood species found throughout much of the northern parts of South America. The botanical name for true Cambara is Erisma uncinatum. 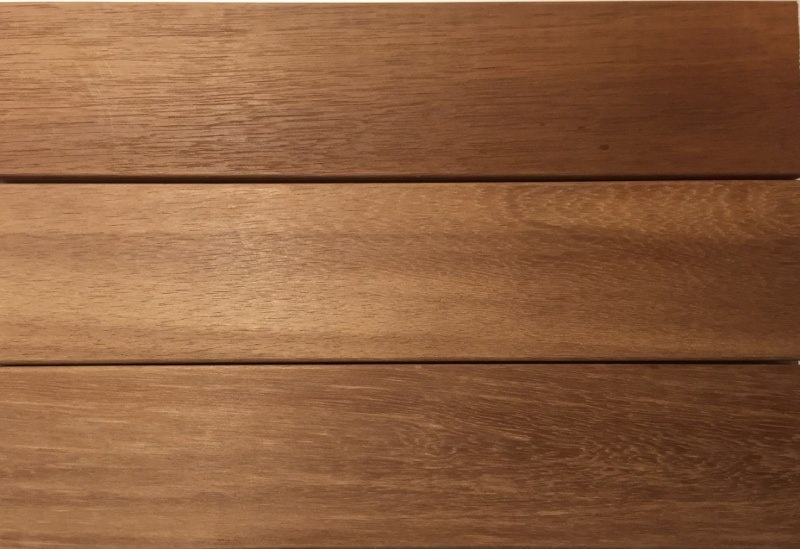 Although it is not a true mahogany species, true Cambara hardwood is sometimes referred to as "Cambara Mahogany", because of its rich look and coloration. To ensure consistent quality, Mataverde Premium Cambara is carefully selected from the Erisma uncinatum species only. Lower grades of 'Cambara' are sometimes referred to as Jatoby or Quaruba, but those names typically refer to other wood species that resemble Cambara. Although Cambara wood is rated moderately resistant to fungal decay and dry wood insects, it is not rated resistant to termites. Cambara is a beautiful and affordable choice for porch flooring or decking. What's so special about Mataverde® Cambara wood? Mataverde® Premium Cambara Hardwood is a great option for wood decking and porch flooring, especially for tight budgets where natural beauty is important. Cambara decking lasts longer than most softwood decking material options such as fir, pine and cedar. Cambara decking can provide a "mahogany look on a cedar budget". 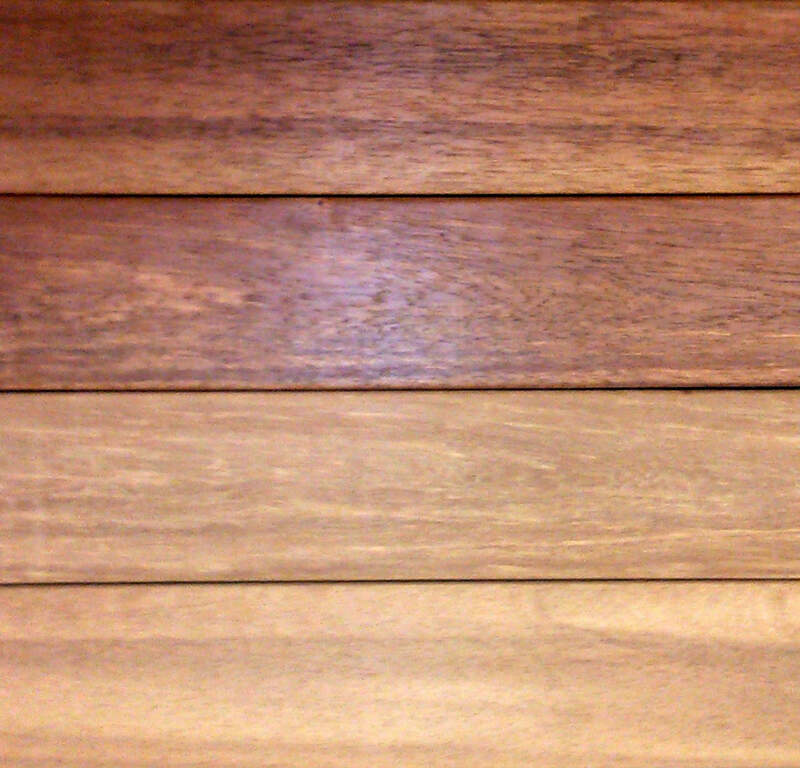 Although there are many unique character marks, color variations, and unique graining variations found in all real wood decking materials, Cambara is remarkably consistent, especially for a tropical hardwood species. Always sustainably harvested, you can be assured that Mataverde Cambara is eco-friendly and free of toxic preservatives. than other wood decking material options. Color and Graining of Mataverde Cambara? Mataverde® Premium Cambara Decking displays a range of light to medium brown colors and a coarse to medium graining appearance. Many wood enthusiasts have compared the look of Cambara hardwood to mahogany. While Cambara certainly does have the rich appearance of genuine mahogany, Cambara is about 10% harder and 12% stronger than mahogany - and a lot more affordable. Can Cambara hardwood be stained, sealed or painted? Mataverde® Cambara decking has natural resistances to lots of shrinking, cracking, checking, twisting and cupping that you might experience with many lower quality woods and softwoods. DURABILITY Mataverde® Cambara porch flooring and decking is very stable, consistent and is harder and more dense than softwood decking materials. HARDNESS Mataverde® Cambara has a Janka hardness of 860 psi (about twice as hard as red cedar decking). FIBER BENDING STRENGTH Mataverde® Cambara hardwood has a bending strength of 13,080 psi. That means it would take 13,080 pounds of pressureper square inch for Cambara hardwood to rupture. DENSITY Mataverde® Cambara wood has a density of .65 g/cm3. 1. The traditional method of installing hardwood decking is by pre-drilling the deck boards and then fastening the boards down to the joists with stainless steel screws. 2. A recent technological development for decking installation is the Ejector Screw. No pre-drilling is necessary with the Ejector screw - just fasten your deck boards directly to the deck joists. The screw itself acts as a drill bit and provides a very strong mechanical fastening for your deck. 3. If you are installing Cambara hardwood as a tongue and groove (T&G) porch flooring, there are additional options for you. Cambara decking is a moderately durable natural wood material that will perform best when refinished periodically with a stain, paint or sealer, especially if it is installed in an unprotected area. When Cambara decking is exposed directly to rain, snow and the elements it is a very good idea to put on a fresh coat of stain, paint or sealer as needed. Keeping your decking in top notch appearance will also extend the life expectancy of Cambara hardwood significantly. No matter what type of material your decking is made of, it's always a good idea to keep dirt, debris and detritus off your deck. Removing grime and debris from your Cambara decking will extend the life of the decking and help it to maintain its natural beauty at the same time. If you wish to maintain the "new wood look" for your Cambara porch or deck, it's a smart choice to select a good quality exterior stain or sealer that will provide the color you like.